Miles Romney knows from personal experience what it's like to be a creative artist, wondering whether it was possible to make art in Utah. The Long Island native attended college in Utah, but moved to Los Angeles because he believed that was the only way to make it in the media business. "I love Los Angeles, but Utah really spoke to me, and I wanted to get back to Utah," Romney says. "While I was in Los Angeles, I had friends who were animating for Pixar, and they were happy to be there, but didn't love [California]. They'd prefer to be back ... expressing their art in Utah than doing grunt work in Los Angeles. But at that time, they saw no real path for getting there." 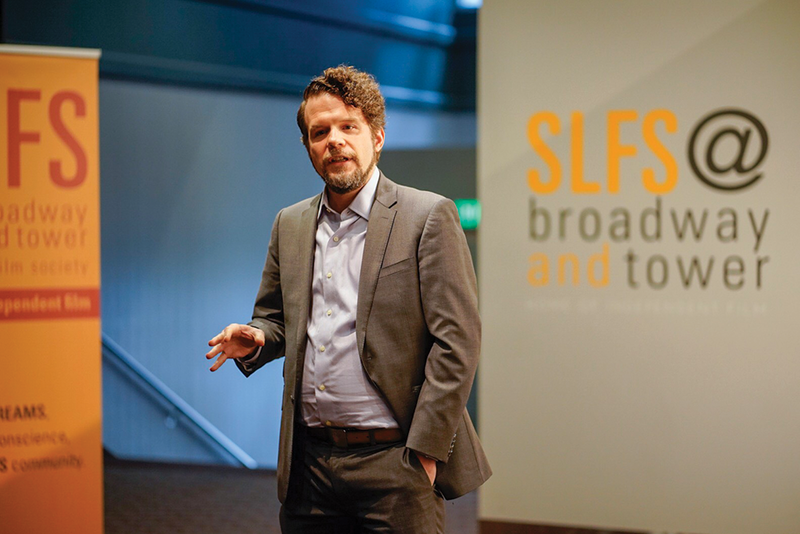 Addressing the gap between local creative artists and the need for an infrastructure that allows them to create without moving out of state was part of the motivation behind the creation of Media Accelerator Studio (MAST), a new program of the Salt Lake Film Society co-founded by Romney and SLFS CEO Tori Baker. Announced at a media event on Dec. 17, MAST is intended to be an educational opportunity for post-graduate storytellers in a wide range of media—filmmakers, animators, game-designers and more—and is a development program Romney describes as "taking artists ... and making them artist-entrepreneurs." "So often, I've heard people say, 'I've got my film degree, I made a short film, even did pretty well in festivals, but then I didn't know what to do. Do I have to move to L.A. or Vancouver or New York?'" Romney says. "In that way, it's similar to law school, where you have students coming out with their J.D., and they know the law, but they know nothing about the business of the law. This particular industry has few places where graduates can go to learn the business of the business." c "Any good nonprofit will evolve with its community's needs," Baker says. "If storytelling is changing—I don't, for instance, see my 12-year-old daughter differentiating between a movie, a television show, a web series and a 30-second YouTube clip. ... The world is evolving; how are we evolving as well, so that we're not relegated to being a museum?" It might seem unnecessary to teach 21st-century artists about these evolutions in storytelling platforms, but Romney notes there's still work to be done educating creators about the different options available to them for making money as an artist. "We still run into a lot of young filmmakers who expect to do it the way it's been done for 40 years in terms of 'I'm going to write my script, take some workshops on how to pitch ... maybe take it to a film market and find a sales agent, [and] they'll sell it into the system,'" Romney says. "But as soon as you say to them, 'Wait, where are you watching your media? On your average day, how much time do you spend in a movie theater as opposed to looking at your phone?' As soon as you make that connection for them, the light bulb goes on, and it really does become clear to them what that alternative trajectory is today." The MAST labs themselves—in both traditional physical spaces and online—will, in part, help artists learn how to harness the power of alternate distribution forms for brand-building, so they can tap into a ready-built audience for their work. Other programs might address using open-source software to reduce production costs or provide opportunities to connect artists with other physical resources needed for their work. Invited fellows for the MAST program will be able to participate in labs with all expenses paid. Fellows will be drawn in part from scheduled annual competitions, including People of Earth (for writing and photography), MicroDocs (non-fiction filmmaking) and Voices Seen (animation), with submissions open Jan. 1 to Feb. 15 (maststudio.org). Non-fellows will be able to participate in labs on a space-available basis for a yet-to-be-determined fee. "The metric for the program is not 'Is their project, at the end of the day, going to be super-successful,'" Baker says. "The metric is, 'Can we evolve the human beings behind the projects so that we're building them a network that allows them to learn something that maybe they didn't know? And if this project isn't successful, what do they learn from it that gives them more tools to become successful with the next, or the one after that?'" That big-picture goal remains connected to the idea of allowing artists to control their own work and the places where they are able to create it. As Romney sees it, that's a benefit not just for the artists, but for the people who get a chance to experience their work. "Stories ignite our imaginations and our empathies for other human beings, and the more people who have the tools of storytelling at their disposal, and the greater diversity of stories we can be exposed to, that will result in a rising of the human condition," Romney says. "That's a grand vision: Good, true, diverse storytelling will evolve humanity as a whole. And that means people need to be able to tell their stories based on their own viewpoints, where they are, and don't have to go to just a few places. Regional storytelling is integral to a wider diversity."